There’s a howling wind blowing from the Zambezi Escarpment with vivid flashes of lightning ripping across the dark, moody skies. Our Land Cruisers are caked in mud from tracks drowned by Zimbabwe’s long-awaited first rains: we get stuck and winch each other out, get stuck again and winch again. 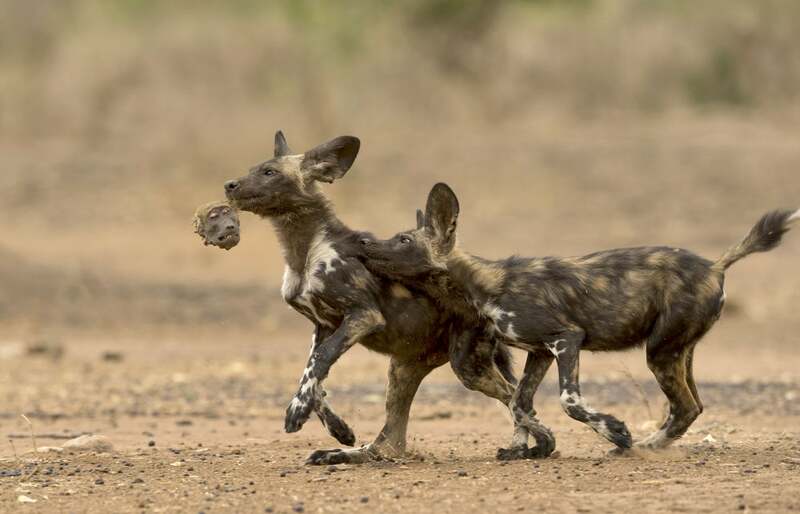 But it will all be worth it if we find what we’re looking for – Africa’s newest celebrities, the painted wolves turned superstars that featured in Dynasties: Blacktip and Tammy. In April, I’d seen Sir David Attenborough filming in Zimbabwe’s Mana Pools National Park. Mana is Africa at its best, with myriad wildlife and birds in beautiful tree-studded plains spanning out from the mighty Zambezi River. Last week I came back to track the now-famous predators with expert photographic guide Nicholas Dyer. Although not part of the BBC crew, Nicholas has spent months at a time over the past five years photographing the endangered wolves he’s come to know and love. Sleeping in a dome tent in the bush, he set out every day to find them on foot. 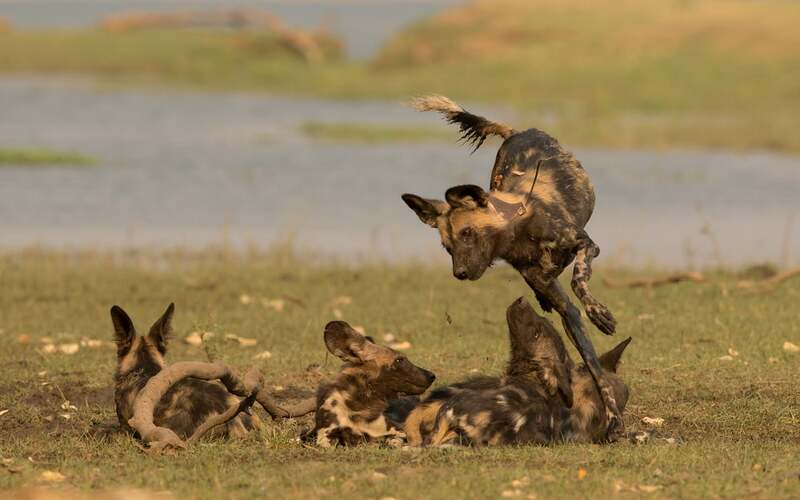 His intimate images have been published in a new coffee table book, Painted Wolves: A Wild Dog’s Life, and his intriguing photograph of puppies playing with a dead baboon’s face is highly commended in the Natural History Museum’s Wildlife Photographer of the Year exhibition. 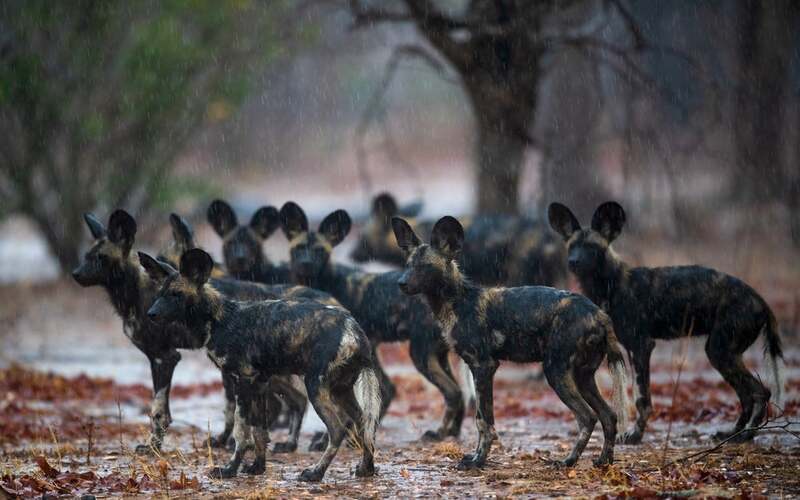 In September, with Peter Blinston, director of NGO Painted Dog Conservation (PDC), and Diane Skinner, a leading conservationist, Nicholas launched the Painted Wolf Foundation to raise awareness and funds for their protection. Profits from their book will be donated to the foundation to support organisations like PDC in research, anti-poaching and community outreach programmes. 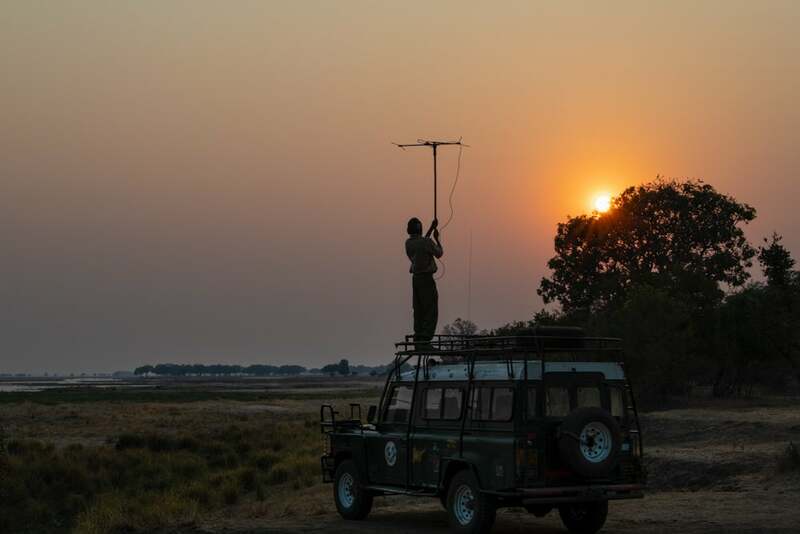 Once we’re out of the mud, Thomas Mutonhori, a PDC researcher, climbs on top of the Land Cruiser with his telemetry receiver, earphones on, slowly turning the antenna to get signals from the collared wolves that indicate their location. We wait quietly – but the only response is silence. Born and bred in Kenya, Nicholas gave up a lucrative marketing business in London to return to Africa, embarking on road trips across the continent and learning photography and guiding skills en route. That’s when he fell in love with Mana and its wolves. Next year, guests staying with conservation-focused safari operators African Bush Camps will also be able to track and photograph these enigmatic animals on a painted wolves safari with Nicholas. Their three Mana camps include Kanga, surrounding a game-rich waterhole miles from any other property; the excellent Zambezi Expeditions camp on the riverbank; and the new high-end Nyamatusi, opening in April 2019 with 10 beautiful suites overlooking the Zambezi. “This year, all three camps have been at the confluence of the packs’ territories,” Nicholas tells me. 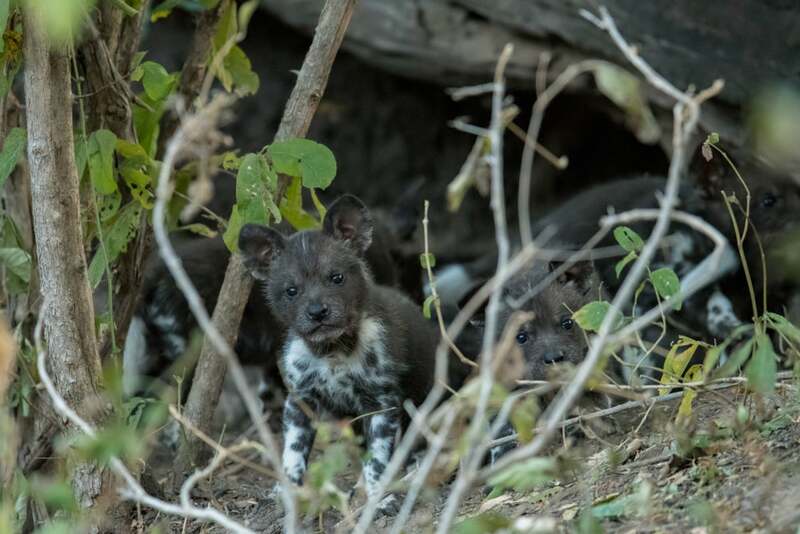 Seeing them isn’t guaranteed but the safaris will run in the dry season, when the pups emerge from their dens and chances of seeing them are good. Dusk is falling and we’re a long, muddy way from camp. Reluctantly, we head back with the wolves unseen. En route, Nicholas picks up their stories from where the BBC left off. But Tammy has had a rough time recently. Blacktip took control of her floodplain territory, pushing her into the Pridelands where their mother died. There she tragically lost three of her four pups. She was pregnant with those pups when she was filmed in the closing sequences with David Attenborough. In his honour, Thomas had named one of them Atten – and he was the only one to survive. And so Tait’s dynasty continues. With help from PDC, the Painted Wolf Foundation and their new celebrity status, perhaps at last it’s time for these beautiful animal to shine, with Blacktip, Tammy, Pip – and now Atten – as beautiful, if elusive, ambassadors. Story originally published in The Independent UK.